What if I told you, however, that everything you need to know about search optimization is summarized in the very first sentence on this page? Go ahead and look again if you don’t believe me- I’ll sit here and wait while you do it. The websites that go out of their way to help their customers the most are the ones that SHOULD rank at the tops of the search engines. That was the goal in 1991 and it’s still the goal today. The only thing that’s really changed is that Google and Bing have become much better at detecting unsavory tactics that allow websites to artificially rank, but the goal still remains exactly the same. So as we work through this guide together, I want you to remember one universal truth that can guarantee your excellent search placement for the next fifty years- the site with the best content should always win. That means that as long as you’re making serious efforts to bolster your customer’s online experience, you will remain in favor with the search engines and continuously see improved results. It really is that simple. Since this is an official SEO Strategy Guide, however, then you’ll probably want a little more detail than that to work with. So let’s get down to some key points of interest for your search optimization strategy. 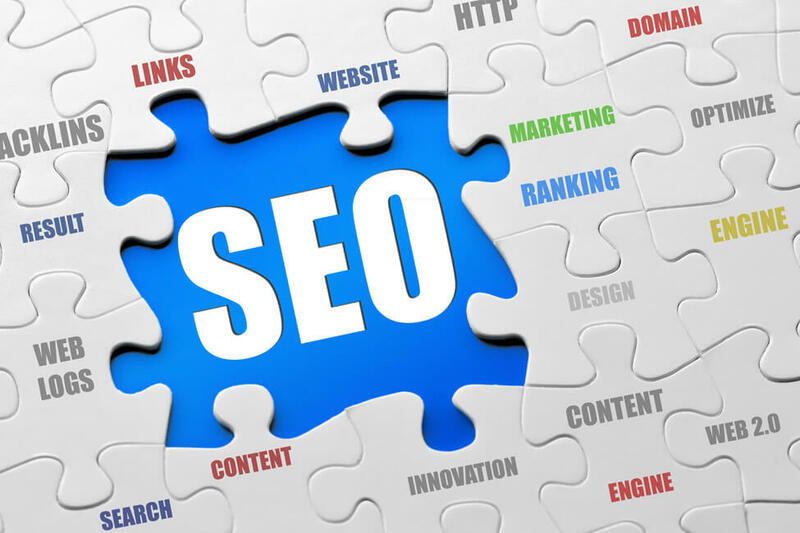 Old-school search optimization depended largely on stuffing keywords, cranking out tremendous amounts of content and getting any form of backlinks to your website. The Internet back then was like the Wild West; everything was available for the taking if you didn’t mind being called an outlaw. And that’s why quality was almost an afterthought over the past two decades, the search engines did not have a strong enough algorithm in place to properly identify what we now call spam. Outlaws eventually end up dead or in jail. So stop trying to be an SEO outlaw, even if think you’re the quickest draw in the West. So when it comes to content for your website, don’t even think about taking shortcuts in 2016 and beyond. Everything you post should engage your audience and help them learn a little bit more about your brand. That means you should be getting down to the nitty-gritty and sharing precise details about anything and everything your customers have questions about, and it should be written in a way that just makes sense. That’s where we reach the turbulence part of this journey, because chances are pretty darn good that you’ve violated some or all of those guidelines over the past few years. If that’s the case, then we strongly recommend that you disavow your less-than-reputable backlinks since your website is likely facing penalties because of it. With that said, link building strategies have not changed much over the past year other than to avoid the ComLuv’s of the world that Google has clearly blacklisted. In fact, you should probably forget about any form of guest blogging where you’re permitted to insert a backlink straight to your website, unless it’s in an author bio. There are still tens of thousands of quality content sites to write for out there as well- just use a little more caution this time around. Social media is still a powerful way to receive natural backlinks as well, and Google vastly prefers this approach since others are choosing to talk about you on their own sites. Other solid opportunities for gaining backlinks are creating highly-sharable content like infographics or case studies, utilizing directories within your niche, press releases and blogging about authorities within your industry. One more word on backlinks before we move on. Remember that your profile does not need dozens of backlinks to every possible page in order to achieve solid overall rankings; this is the old-school formula for grey hat SEO and it is completely unnecessary. The search engines would rather see a handful of natural high authority links to your domain over thousands of weaker ones, so make sure your focus remains on quality partnerships. Here’s a statistic worth remembering- almost 80% of all mobile searches in the United States directly lead to a purchase. Since almost 73% of those purchases occur in local brick and mortar stores, local search optimization (AKA Google Maps) should definitely become one of the most important parts of your overall SEO strategy in 2017 and beyond. How do you optimize for the local search engines? Essentially, Google and Bing want to see you treat your local search profiles exactly like you would your own website, so remember that the little things really do matter in this instance. Also, make sure that each of your local search profiles uses 100% unique content for the spiders to crawl, but all of the other information should be exactly the same. In other words, do not list different addresses, phone numbers and other information that the search engines could see as a conflict, and avoid toll free numbers altogether since they signal that you’re probably not seeking local business clients. Honestly, Google could care less if you are making income through your website or not. Their only worry is that your site’s content makes visitors happy, and it is a huge red flag for the search engine giant if they see just a few paragraphs of text and a dozen or more ads. Without even looking at anything else, they know right off the bat what your real intentions are. Now, that doesn’t mean that you shouldn’t use ad banners and email captures on your website; just don’t do it in a way that would make people question your motives. Remember, this is not so much about the amount of advertising, but about how much actual content there is to balance it out. So don’t be that guy who posts 12 flashing ad banners per page- not even John Chow does that anymore…and you’re no John Chow. That is, unless you are actually John Chow and you just happen to be reading my blog. If that’s the case, then I guess this last section doesn’t fully apply to you. But for everyone that’s not named John Chow, then you may want to reconsider limiting your ad-space and focusing on your actual visitors instead. Even though you probably have a web developer that handles the heavy lifting when it comes to the back-end of your website, there are several minor issues that could cause you to lose appeal to the search engines. So if you see any of these issues, contact your system administrator and tell him that he stinks at his job. Then call me to fix the issues and we can make fun of that other guy together! You may have heard some of the experts mention that keywords are officially dead, and to some degree they are absolutely correct. You should no longer be focused on things like keyword density or packing in as many combinations of key-phrases as you can in any given page. This is no longer a valid tactic since the search engines have made it abundantly clear that they are more focused on your visitor’s engagement levels. To prove that, let’s do a little experiment and talk about our famous SEO Keyword Spatula, which is something that I just completely made up for testing purposes. It does sound like a pretty cool product name though and since I bolded it, the search spiders will likely see it as being important. Notice that we’re not actually keyword stuffing though, since the phrase is only being used twice total. If you take peek in AdWords, the phrase “SEO keyword spatula” has zero natural competition (as expected) but it is also somewhat related to almost 600,000 similar monthly searches containing both “SEO” and “keyword” within the phrase. And if our little experiment here works, then I should have the #1 ranking not only for the worthless phrase I just made up, but also have the opportunity for getting noticed in dozens of similar search terms that people are actively searching for. Does that make sense? It’s sort of a backdoor ninja approach to capturing the easy stuff and possibly getting noticed in the ultra-competitive niches as well. You should be doing the exact same thing with all of those long-tail keywords within your niche that others are not actively targeting. And the long-term benefits of consistently searching for and using new long-tail keyphrases within your website copy can pay serious cumulative rewards. Many people are on the fence about video marketing since Google cannot actively see the content contained within your embedded multimedia players. Hopefully by now you’re not going to make me refer you back to the very first sentence again though; modern SEO is not about what Google sees. It is about how your visitors react to the core content on your domain. And if a video captures their attention while they’re visiting you, then Google doesn’t have to understand what they’re watching. It helps you anyway. Here is another incredibly important piece of the puzzle for video though– the most influential video hosting website on the planet is owned by Google. So not only does video marketing get the benefit of its very own search stream for consumers, but Google also prioritizes YouTube videos within both the natural and the video types of searches as well. So you literally get three streams of exposure by posting one video on YouTube and embedding it into your website…and your customers will love you for it. What does a homeless young Korean man in a singing competition have to do with SEO and video marketing? It’s almost impossible not to be moved by his amazing journey…and that is engagement at its very finest. However, if your videos happen to answer the specific questions that your website’s visitors are contemplating, then it is an extremely powerful sales technique as well. So while video marketing is not a core SEO factor all by itself, the engagement that it creates certainly matters. Throughout this guide so far, we’ve talked about the term “engagement” in almost every single section. It is certainly one of those buzzwords that are tossed around frequently by experts, but it hardly ever seems to get properly defined either. So let’s define it now by search engine standards. Customer engagement refers to any positive action that is taken by a user on a website. Any when I say “any positive action”, that’s exactly what I mean. Think about this for a moment- the average smartphone user visits a website and qualifies it in the mind in a mere three seconds. So if you manage to tick over to that four second mark, it’s a positive. Not a good one, mind you, but still a plus in your favor nonetheless. If you look in your Google Analytics account, the search giant has been tracking these types of metrics for years now, so it only makes sense that you should keep up with these key metrics as well. Every chance you get to create additional engagement helps your website overall, so know that your on-page metrics are as important as ever in the eyes of the search engines. If you haven’t realized it by now, search engine optimization is all about the consumer. The more you go out of your way to provide great information and make your visitors happy, the more Yahoo, Google and Bing will reward you with a boost in natural rankings. And even though some of the things I’ve shared so far may seem super technical and difficult to implement, I’ll tell you one more time to read the first sentence of this article- that’s close to 85% of today’s SEO right there. As long as you’re putting forth a genuine effort to become more helpful online than all of your competition, then you will eventually outrank them…even if it’s purely by dumb luck. Use local to your advantage. Don’t be that guy with too many ads. Make sure your website loads smoothly. Continue to focus on keywords. Post a few videos on your site. Use smart page layouts to increase engagement. Always focus on pleasing your consumers. If you have any questions about modern search optimization or want to point out a tip or two that I missed, please feel free to reach out through my contact form or leave a comment below. I’m here to help. Thanks for the tips. I am just learning how to properly set up a social media platform. I am getting the content and networking part, but am still pretty clueless on the analytics and using them to improve results. Your post was helpful in this reagards. I’m glad it helped, feel free to reach out if you have any questions that you’re still stuck on.